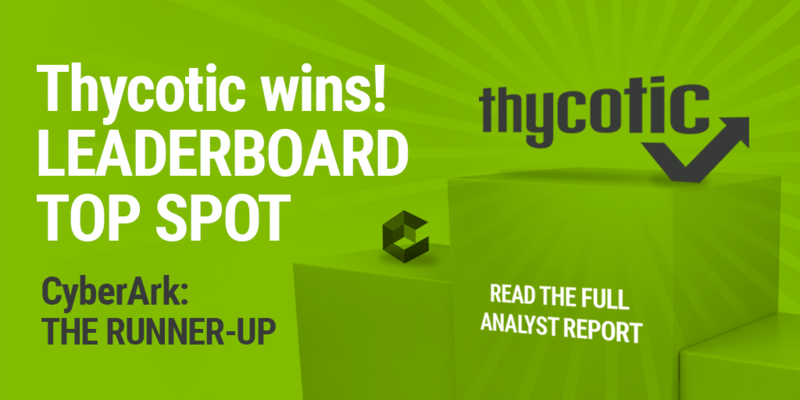 A new vendor evaluation analyst report from the UK-based Cyber Management Alliance, puts Thycotic’s Privileged Access Management solution—Secret Server—at the top of its Leaderboard, ahead of the traditional 800-pound gorilla in the PAM space, CyberArk. Based on an extensive evaluation list of criteria, the CM-Alliance makes very clear why Thycotic tops their preferred vendor list. Simplicity and ease of use. And the reason simplicity is so important has to do with the level of acceptance and adoption of cybersecurity technology. In other words, a cybersecurity solution so complex that it becomes an obstacle to adoption is less than optimal and risks becoming more of a hindrance than a help. How many examples of shelf-ware in your experience stem from a software tool that requires extensive training and/or expensive professional services to not only deploy but maintain? Lean IT operations today simply can’t afford to implement and manage a complex solution, regardless of its features. Get your copy of the full report entitled, “The CM-Alliance Leaderboard: Privilege Access Management Vendor Evaluation”.